Plymouth-born Young, an ex-student of Ivybridge Community College, first signed Centre of Excellence forms at Home Park in May 2000, aged 9. 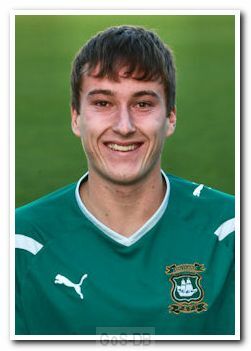 He played schools football for Plymouth and Devon and made his first appearance for the Argyle reserve team while still a schoolboy. A skilful midfielder, Luke was called up to Peter Reid's much depleted squad in January 2011 and made his debut as a substitute against Bournemouth. 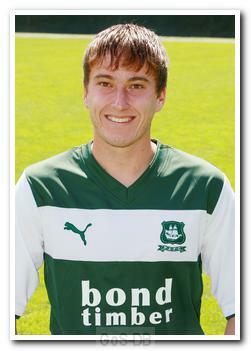 His first start came against Brighton and Hove Albion a few weeks later, on his 18th birthday. 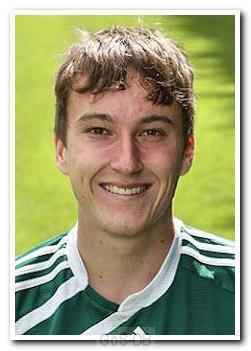 Beginning the 2011-12 campaign on the fringes of the first team, Young became a regular member of the side which kept Argyle in the Football League, and was named the Young Player of the Year, despite often playing out of position on the right side of midfield. To the surprise of some, Young was released by manager John Sheridan at the end of the 2013-14 season, having made over a century of appearances in green and still only 21. He then signed for Torquay United and shone in his first season, scoring six goals from 39 appearances and being named as The Gulls Player of the Year for 2014-15. Young injured a knee before the next season began, which kept him on the sidelines until March 2016. Bad luck struck again in the following December when he seriously injured his other knee.